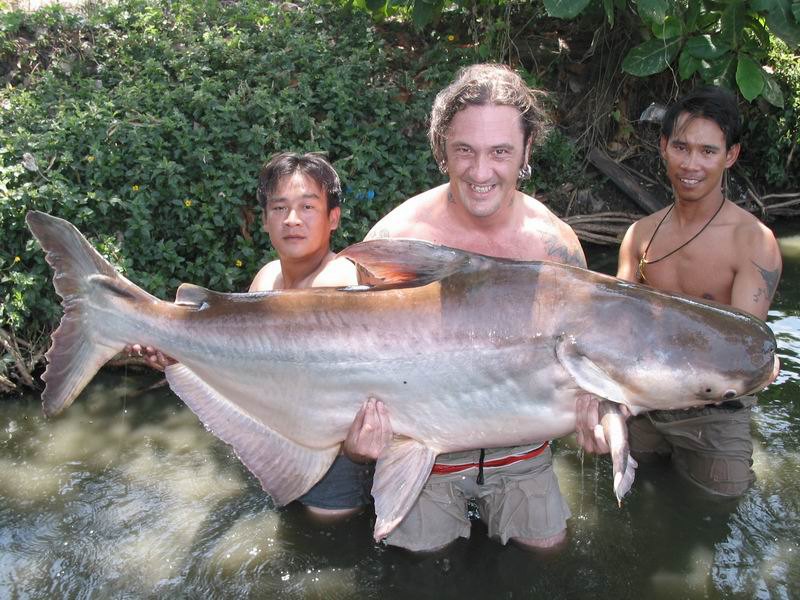 Subject: The Mekong giant catfish current All Tackle record was broken yesterday! Just a few words to say that we have finally broken yesterday the current All Tackle record for the Mekong giant catfish (56.50 kg held by English Terry Robert Mather). Terry's record catch was in February, last year. Yesterday Feb. 27, English angler Richard Ainsworth (from Bedford) caught a 64.00 kg Mekong Giant Catfish (pictured below). The fish was 187 cm long for a girth of 103 cm.